Each year at The Maryland State Thespian Festival, Maryland Thespians raises money for Broadway Cares/Equity Fights Aids, an organization dedicated to helping men, women and children across the nation receive lifesaving medications, health care, nutritious meals, counseling and emergency financial assistance. Over the course of 7 years, we've successfully raised over $7,000 for this worthwhile organization. You can join help! Raise money at your school and help us grow our contribution. Try holding a school fund-raiser prior to a conference or pass a bucket/ask for contributions at your performances. You will be amazed at how much you can raise! They are one of the nation’s leading industry-based, nonprofit AIDS fundraising and grant-making organizations. By drawing upon the talents, resources and generosity of the American theatre community, since 1988 Broadway Cares/Equity Fights AIDS has raised more than $285 million for essential services for people with HIV/AIDS and other critical illnesses in all 50 states, Puerto Rico and Washington DC. 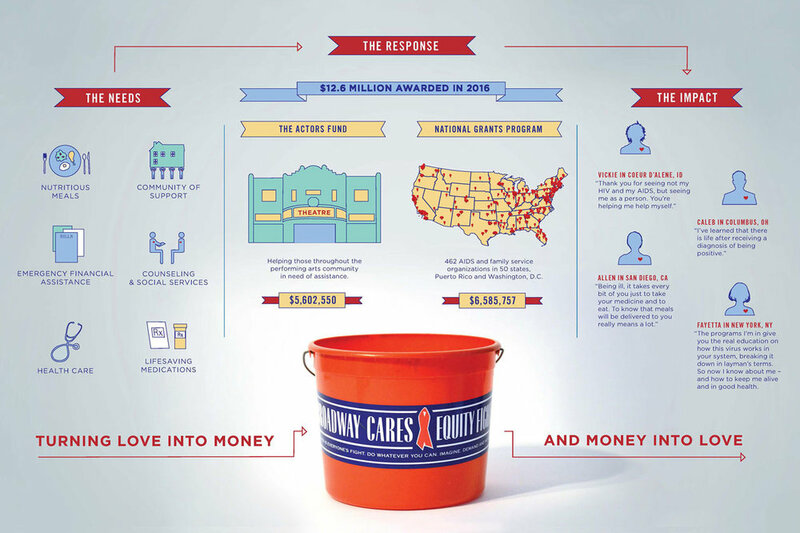 Unlike most other nonprofit, grant-making organizations, Broadway Cares/Equity Fights AIDS must raise every dollar of our philanthropic budget each year in order to fulfill our mission. In turn, BC/EFA works hard to ensure that the money raised is spent carefully and wisely on programs where these hard-earned funds can have the maximum possible impact.